If you can't beat them, join them. Comcast is trying to refigure the traditional cable bundle, adding services like Netflix to its subscription packages and offering internet-only TV streaming. Comcast and others have been trying to build a business that combine both the "pipes"—the internet services that connect everyone—and the producers of shows, movies, and other video. In this environment, Comcast reported a strong first quarter, boosted by $1.6 billion in ad revenue from NBC's broadcast of the Super Bowl and the Olympics. 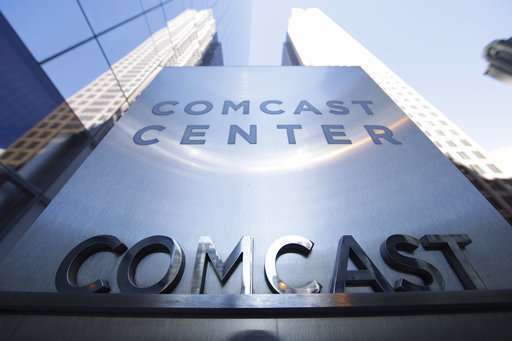 Philadelphia-based Comcast's net income rose 21 percent to $3.12 billion, or 66 cents per share, from $2.57 billion, or 53 cents per share a year ago. Excluding a one-time benefit from the federal tax overhaul and the gain on the sale of an asset, net income totaled 62 cents per share. That beat analyst estimates of 59 cents per share, according to FactSet. Also on Wednesday, Comcast made a bid for British broadcaster Sky Plc for 22 billion pounds ($30 billion), topping an offer from Rupert Murdoch's 21st Century Fox and sparking a possible bidding war. Comcast has been leading the way in marrying pipes with the entertainment that flows through them. It bought NBCUniversal's cable channels and movie studio in 2013 and added Dreamworks Animation in 2016. It has been tinkering with the traditional cable bundle, offering a la carte subscription services and so called "skinny bundles." Earlier this month, Comcast said it will add Netflix to some cable bundles. 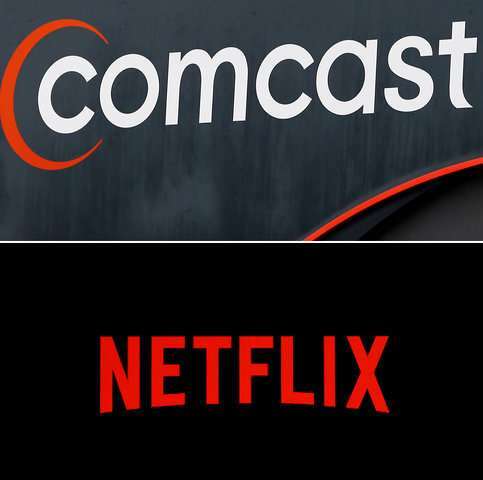 The Netflix move was an effort to offer customers more "choice, value and flexibility," Sam Schwartz, chief business development officer at Comcast Cable said at the time—words not often used to describe traditional take-it-or-leave-it cable bundles. AT&T and Time Warner argue they're simply trying to stay afloat in the new streaming environment. But the Justice Department says the merged company could exert monopolistic control—for instance, by charging rivals like Comcast higher prices for Time Warner Channels like CNN or HBO, which would likely push up consumer prices as well.